Sadly, the materials I set aside to undertake Michael Clemens typing challenge were accidentally disposed of in a freak cleaning accident. 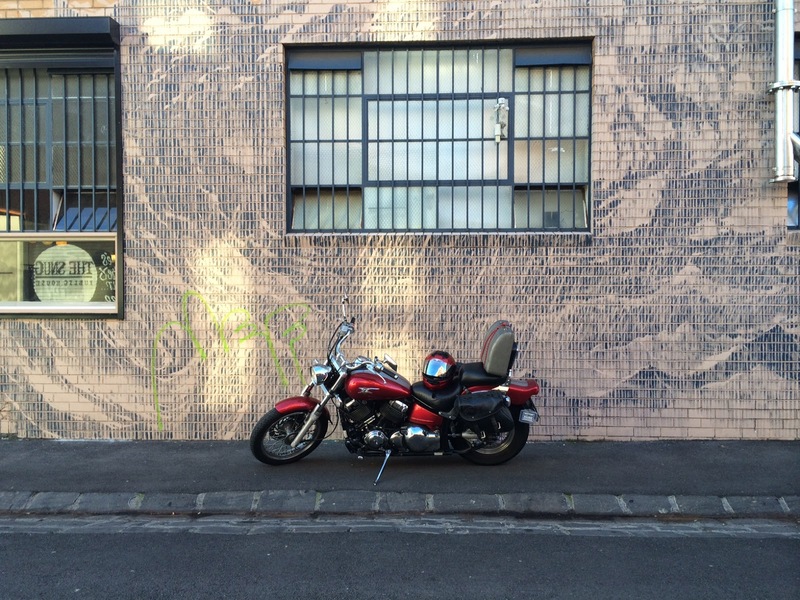 So, instead I decided to strap my typewriter to the motorbike, and head out on to the ‘wide open road‘ – a cafe in Brunswick. And let’s face it. If there was every a cafe that sounded like the place I’d be typing at, ‘Wide Open Road’ would be it. *Just a note on the use of the word ‘hipster’ below here. 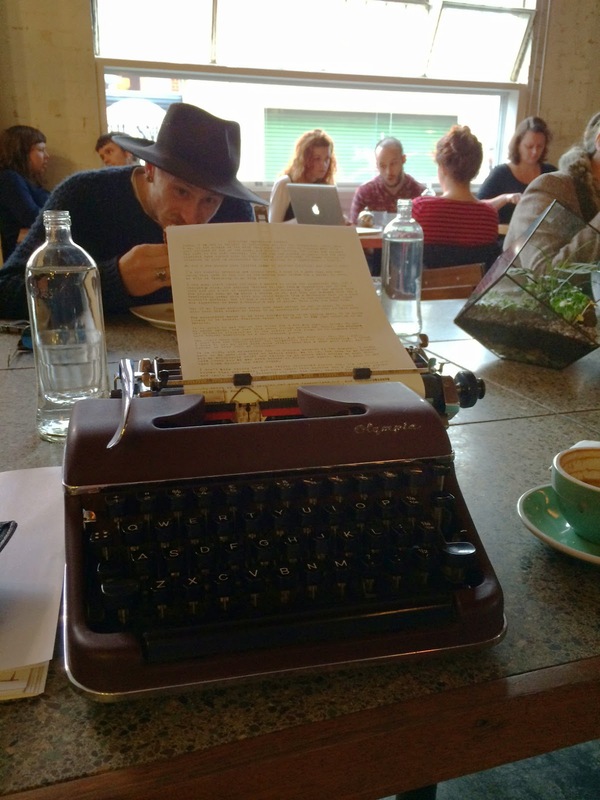 The cafe wasn’t actually filled with hipsters on MacBooks but rather I’m making a play on the ‘hipster on a typewriter’ stereotype. It is a lovely cafe with a warm and open feel. While for the first 10 minutes I felt like the oldest person in the room, soon I discovered that I was actually comparatively young compared to a lot of the customers! The W.O.R. is a very diverse and interesting cafe. I parked down the alley way beside the cafe, where someone has worked on a gorgeous design along the side of the building. Also, check out how perfect that case on the SM3 is for motorbikes! Is that a Macbook I see back there? One of three I saw adorning the tables of the cafe. Oh my gaaaaaawd! Thick cut bacon. My mouth is watering just looking at it. 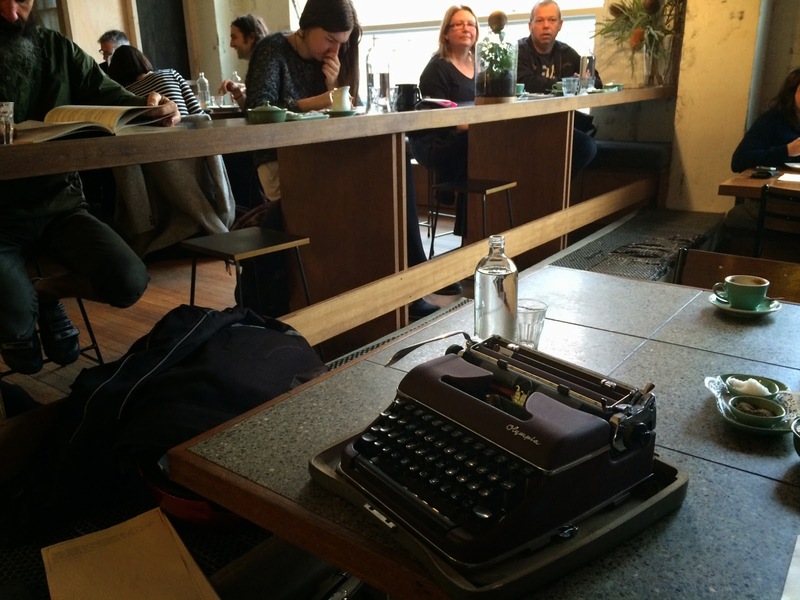 Okay, time to push the typewriter aside and…. eat. Thanks guys for letting my type in your cafe! As I was packing to leave, I got approached by someone who wanted to talk about typewriters. They were very interested, and I’m going to bring some other machines by write some more in the future. Looks like there’s plenty of typewriter love out there. ← A place called home. Whoop whoop to awesome cafes, you got me drooling on my desk. Ha! You'll have no shortage of cafes to choose from in Brunswick, Scott. But, if you find a good one (and it looks like you have), then there's no need to search any further. And that Bacon Slab! Good God! I like the photo at the top of this post, too. I've just spent the last half-hour mimicking it. Ha ha ha. Thank you, good sir! Ahhhhhh It was soooo nice. Oh man. Biketypewriter day! I love it! So I have seen! Nice interpretation of it. There sure isn't a lack of cafes around here, shame so many of them do lack style and flair. And yes! That bacon slab was absolutely freakin' delicious. Happy T-Day to you too! Yeah! Either you love bacon or you're wrong! Happy T-day! Looks like you had a fine experience. Sounds like you started something Scott! 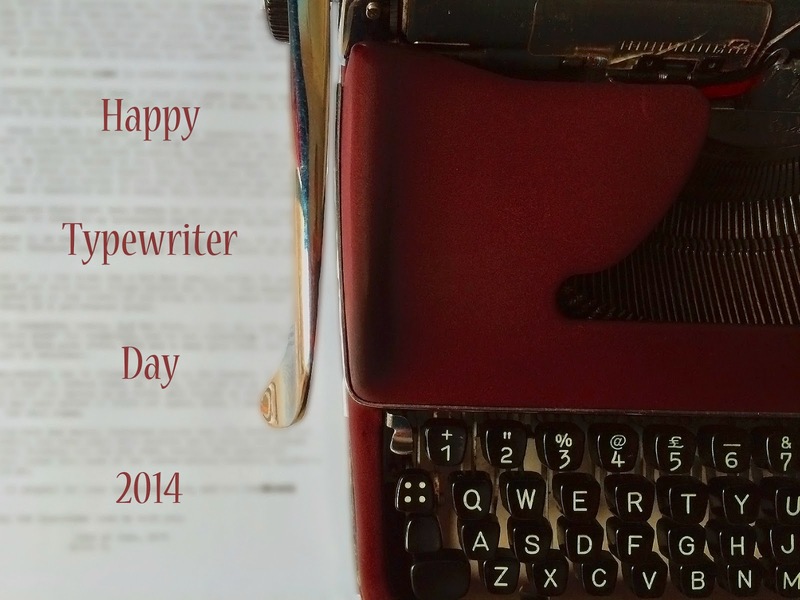 Happy World Typewriter Day 2014. Sounds like you had a wonderful typewriter day. We had a wet typewriter day here too. Nice SM3. If it were not for the huge case those would be nice travel machines. I like my SM3 best of all my Olympia machines. Looks like you already found a great spot for your next Type-in! Just bring a few in and the rest will apparently happen on it's own. Great fun! 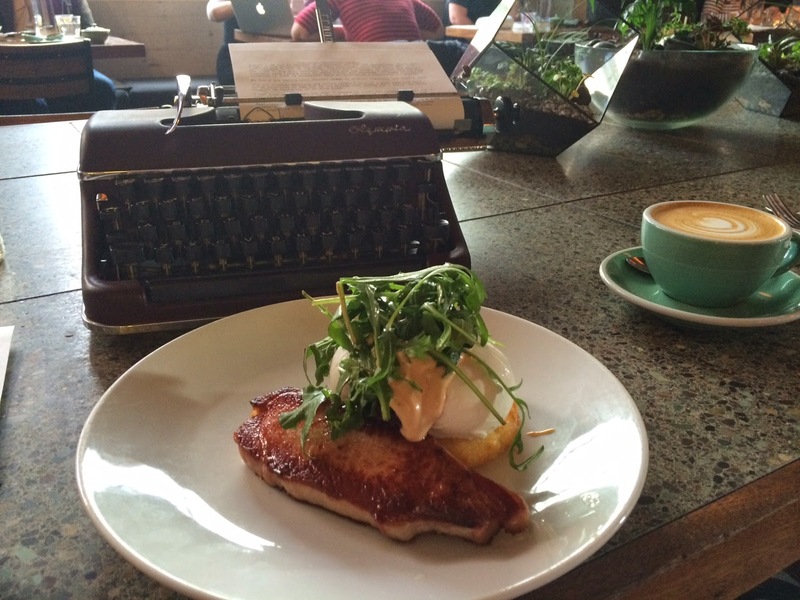 Typewriters AND bacon…hard to go wrong there! Thanks for taking us along for the ride. Why, thank you good sir! And yes… it certainly was! Ha ha ha. Great logic. Works for me. Sure was. Happy (now belated) T-Day to you too! Quite possibly. Let's see if we can get more machines out and about in Melbourne. I agree… They are magnificent machines. The case does do quite well on a bike though. But yeah, hardly slim-line. Anytime. I can't have people not being able to write! And you're right, I sure did. Anytime. Feel free to pop by any time you wish! Ahhhh the allure of typing and bacon. Mmmmm.